Ian is a cultural geographer of trade. He's interested in ways that academics, filmmakers, artists, activists, musicians and journalists try to make tangible the lives of those who make and grow everyday commodities. He runs the spoof shopping website followthethings.com which curates, and researches the making, discussion and impacts of over 80 examples of this work. Once the 100th has been researched and added to the site, he and collaborators are writing a handbook of 'follow the things' activism to inform and hopefully inspire new work in the genre. For those who cannot wait, live reporting on the 'follow the things' project takes place on its blog, and on twitter, facebook and flickr. Within Geography at Exeter, Ian coordinates the Cultural and Historical Geographies research group, a hive of fun-based productivity involving artists, academics, postdocs, postgrads, masters students and guests approaching geographical research, teaching and public engagement through collaborative, creative practice. In addition to followthethings.com, this approach to creative geographical practice has led Ian to work with artist and PhD student Paula Crutchlow and others on the Museum of Contemporary Commodities, artists Joan Gabie and Neville Gabie to create Dust, and with many others to develop his solo/collaborative practice as a LEGO memelord (kind of). Beyond all of this, Ian lends what he knows about 'follow the things' commodity activism to the Fashion Revolution movement, where he's a member of the Global Coordination Team, co-authors its annual 40 question Quiz and ran its 'Who Made My Clothes?' online course in the summers of 2017 and 2018. Here, there and everywhere, Ian writes as 'Ian Cook et al' to acknowledge the collaborative nature of all of his work. His/their/our work is hard to own solo. Ian worked in the Department of Geography at the University of Wales, Lampeter from 1993 to 1999 and in the School of Geography at the University of Birmingham from 2000 to 2007, before moving to Exeter where he is working right now. Ian et al is/are perhaps best known for developing the 'follow the thing' approach to commodity geographies. Much of this work has been undertaken via a series of small, collaborative projects exploring ways in which abstract commodity relations can be made 'real' enough to make a difference to the ways in which people imagine, understand and act as citizens and consumers. Whilst taking massive doses of steroids, he/they/we managed to bring together, for the first time, in one place, for research purposes a wealth of academic and popular 'follow the thing' work in a spoof 'shopping' website called followthethings.com. This mixes up and confuses the research, publication, impact and teaching parts of academic labour. And for good reason. The FAQs are here. The followthethings.com project has also sparked new collaborative work with artists and activists including the Museum of Comtemporary Commodities, Dust and Fashion Revolution. followthethings.com is a research website with the look, feel and architecture of an online store, with Grocery, Fashion, Electronics, and other departments. It showcases ‘follow the thing’ films, books, academic journal articles, art installations, newspaper articles and undergraduate research. This work has followed nuts, t-shirts, tablet computers, perfume, books, cash, bullets and more. Most of the original work is freely available in-store to watch or download. Most also come with things to discuss. How was the original described by reviewers and audiences? Why, how, by whom and for whom was it made? How did its makers aim to grab its audiences? What (if anything) does this work seem to have done in the world? This site is made for teachers, researchers, journalists, film-makers, artists and other shoppers. It’s an online shop, a database, a resource and a field-site for people who want to learn from, and create, this kind of work. Its social media outpourings include a wordpress blog, a facebook page, a twitter feed, and a flickr group. Founded with artist and PhD student Paula Crutchlow, The Museum of Contemporary Commodities (or MoCC) is neither a building nor a permanent collection of stuff - it's an invitation: to consider every shop, online store and warehouse full of stuff as if it were a museum, and all of the things in it part of our collective future heritage. MoCC invites people to imagine themselves as its curators with the power to choose what is displayed and how. To trace and interpret the provenance and value of these things and how they arrived here. To consider the effects this stuff has on people and places close by or far away, and how and why it connects them. What do we mean by things or stuff? Everything that you can buy in today's society. The full range of contemporary commodities available to consume. MoCC invites people to join us on our journey by browsing and adding to our collection, attending an event, becoming a researcher. In 2015, Paula, Ian and their collaborators curated connections between trade-place-data-values in Finsbury Park, culminating in July in MoCC's 'Free Market' at Furtherfield's Galllery (watch the video here). From 17 October to 22 November 2015, MoCC was featured in 'The Human Face of Cryptoeconomics' exhibition at the Furtherfield Gallery in Finsbury Park, London (see here). In May 2016, the MoCC website and online collection was launched and a disused shop in Exeter was turned into an IRL MoCC for three weeks (watch the video here). In August 2017 MoCC opened for a long weekend in a lovely museum space - the Pavilion Gallery of the RGS(IBG) on Exhibition Road in London - before moving into the RGS annual conference space the following week (Watch the video here). In each IRL location, visitors were asked to add commodities to the online collection, to answer and ask questions about them, to rate them according to values like 'freedom' and 'sociability', and to appreciate how the site's algorithms surface and change the collection's top commodities by 'attention', 'controversy', 'positive' and 'negative'. This project has been funded by the ESRC, AHRC, Arts Council England, Islington Council, Exeter City Council, the University of Exeter and the Department of Geography at the University of Exeter. From 2014-5, Ian (via followthethings.com) was a project partner for an Arts Council England project called Bideford Black: the next generation based in the North Devon town's Burton Art Gallery and Museum. Bideford Black is a unique pigment sourced from a 'paint seam' in the geological strata of the area, which was commercially mined until 1968. Building on the first phase of the project, in which oral historical research was undertaken with former mineworkers, the 'next generation' project commissioned eight artists and one filmmaker to make new work for the Burton collection, and to develop ways of using it as a medium and inspiration. After a 'Biddiblack' collecting fieldtrip in October 2014, Ian worked with artists Neville and Joan Gabie to create a body of work entitled ‘Dust’ which included a five screen video installation, a ‘cabinet of curiosities’ containing experimental making work with plastic and rubber, and a suit worn by Neville to work with the material. This work, along with their collaborative artist notebook, was exhibited at the Burton Gallery in October 2015. Watch the exhibition trailer (here) and read an exhibition review (here). Since 2013, Ian has been working with a group of ethical fashion pioneers, NGOs, journalists, academics and others dedicated to marking 24 April (in 2013, the day the Rana Plaza garment factory in Bangladesh collapsed, killing over 1,100 workers) as Fashion Revolution. Now active in over 90 countries worldwide, its key question to fashion brands and retailers is 'Who made my clothes?' Here, followthethings.com's fashion department and fashion ethics trump card game have been adopted as education resources on the Fashion Revolution website. In June 2014, Ian directed a week-long public research project called 'Fashion ethics after the Rana Plaza collapse' from a disused shop in Exeter's Guildhall Shopping Centre. From 2014-2016, he was Fashion Revolution's Global Education & Resources lead, designed its Education Resources, curated its Research Library, Film Library, Do Something and Education Pinterest Boards and, in 2015, co-authored the movement's book How to be a fashion revolutionary with Sarah Ditty and Laura Hunter. A second edition of the book, with additional co-author Tamsin Blanchard, was published in 2018. In June-July 2017 and 2018 Ian led a free 3 week online course with/for Fashion Revolution called 'Who made my clothes?' organised according its maxim 'Be Curious. Find Out. Do Something'. Check the details here. Ditty S, Cook IJ, Hunter L, Futerra, Blanchard T (2018). How to be a fashion revolutionary. Ashbourne, Fashion Revolution. Cook et al I (2018). Inviting construction: Primark, Rana Plaza and political LEGO. Transactions of the Institute of British Geographers, 43(3), 477-495. Toys protest political corruption in Siberia, critique ISIS worldviews in London and illustrate Greece's financial and migrant crises. Geographers disagree about whether playing with things distracts us from, or helps us to more critically engage with, questions of justice, poverty, exploitation, environment and the commodity. Art activists in the academy say that working in creative ways can enliven and enhance our practices of research, publication and impact. Drawing together these debates about art, activism and geography, this paper asks what can be learned from recreating in LEGO and posting online scenes from the tense and changing socio‐economic relationships between investigative journalists, corporate executives and garment workers making clothes for a high street fashion retailer Primark before, during and after the catastrophic Rana Plaza garment complex collapse in April 2013. It also experiments with the composition of academic outputs, in the hope that that its arguments leap up from the page. and it finishes by inviting readers to try this approach for themselves. Cook et al I (2017). From 'follow the thing: papaya' to followthethings.com. Journal of Consumer Ethics, 1(1), 22-29. Full text. Cook et al IJ, Crutchlow P, Mikayla, et al (2017). Museum of Contemporary Commodities, Pavilion Gallery, Royal Geographical Society, Exhibition Road, London (24-27 August). Cook et al I (2016). Les géographies du numérique: on en veut encore! | More digital geographies, please. Justice Spatiale | Spatial Justice, 10 Full text. Crutchlow P, Cook IJ, et al (2016). The Museum of Contemporary Commodities, online collection and website. MoCC is neither a building nor a permanent collection of stuff – it’s an invitation. To consider every shop, online store and warehouse full of stuff as if it were a museum, and all the things in it part of our collective future heritage. To create a different kind of imaginary, a new conversation, to ask or answer questions and consider the values we associate with the things and stuff that help to make us who we are, and to shape the places in which we live. Become one of this museums curators. Add something to our online collection that you think is important, interesting or essential. Something that we can learn from or talk about. Maybe it's something that's part of your daily life? Something throwaway or irreplaceable. Something made specifically for you, or that you share with someone else. Something that was a gift or that you collect. A commodity that's alive, something that's been stolen or lost, something intangible? Why is it important? How do you feel about it? By adding something to MoCC you are engaging in a data collection and processing exercise that is also an experiment in collective re-valuing. Our use and interpretation of the information in this database will be different from those of online retailers and direct marketing companies. We will not monetize it or use it to predict and manipulate your behaviour. However we will process this data using algorithms which have been written, like all algorithms, to interpret and present information with a specific agenda. How does knowing this affect your experience of the Museum? How does data collection and processing more widely affect our choices and limitations as well as those of other people? Ditty S, Cook IJ, Hunter L, Futerra (2015). Como ser um revolucionário da moda. Ashbourne, Fashion Revolution. Ditty S, Cook IJ, Hunter L (2015). Cómo ser un revolucionario de la moda. Ashbourne, Fashion Revolution. Author URL. Ditty S, Cook IJ, Hunter L (2015). How to be a fashion revolutionary., Ashbourne: Fashion Revolution. Crang MA, Cook IJ (2007). Doing ethnographies. London, Sage. Cook IJ, Cloke P, Crang P, Philo C, Goodwin M, Painter J (2004). Practising human geography. London, Sage. Cook IJ, Naylor S, Ryan J, Crouch D (2000). Cultural turns / geographical turns: perspectives on cultural geography. Harlow, Longman. Cook IJ, Crang M (1995). Doing ethnographies. Norwich, Geobooks. Author URL. Cook et al I (2019). A new vocabulary for cultural-economic geography?. Dialogues in Human Geography, 9(1), 83-87. A new vocabulary for cultural-economic geography? Ibert et al.’s (2019) paper is a welcome stimulus to, and a re-focusing on, what seem to us to be reasonably well-established problematics and debates. It seems familiar to us because of our work, since 2011, on the followthethings.com project. From this perspective, their remit for new cultural-economic geography research doesn’t seem cultural enough (what about cultural geography’s recent ‘turn’ towards creative practice? ), the publications drawn upon seem unnecessarily traditional (what about geography’s ongoing turn towards digital practice and ‘natively digital’ outputs? ), and the research practices needed for the work that is outlined seem undeveloped (what can we learn about capitalism’s ‘dark’ places and strategies of association and dissociation from, among others, creative digital practice?). Digital outputs such as followthethings.com risk being bypassed by more traditional practices of academic review, and our insistence that it should ‘stand on its own’ without accompanying academic papers doesn’t, admittedly, help. So, in this response, we have chosen to engage with the paper’s main themes and arguments by sketching out our parallel world of ongoing research in which strategies and vocabularies of dissociation feature strongly. What we conclude is that both of our projects could be seen to be working towards the same goal: to assemble a new vocabulary that is better suited for the analysis of this area of cultural economic geography. We’d like to collaborate on this with Ibert et al. (2019) and anyone else who’s interested. Philo C, Askins K, Cook IJ (2015). 'Civic Geographies: pictures and other things at an exhibition.'. Acme: an international e-journal for critical geographies, 14(2), 355-366. This paper introduces an Interventions theme section of ACME exploring the possibilities raised by the notion of ‘civic geographies’, inquiring what it might mean to rework an older, sometimes conservative and even reactionary version of ‘civics’ into alternative ways of intervening in the world, ‘counter civics’ perhaps, with a potentially critical and transformative edge. Taking seriously the connective or associational dimensions of civics, coupled to a sensibility of engaging with theplaces, buildings and wider infrastructures of civic life, this collection does n ot seek to settle the matter of what civic geographies might entail, neither in the world nor as lens for critical-geographical theory-and-praxis. Nonetheless, it seeks to ask fresh questions through the medium of academic papers that initially grew from what might itself be deemed a practical civic intervention, namely contributions to an exhibition held in 2012 at an international Geography conference. The introductory paper that now follows will critically review the notion of civic geographies, underlining its unsettled and maybe unsettling dimensions, as well as elaborating the rationale for an exhibition that now becomes this theme section in ACME. Hudson C, Cook IJ (2015). Occupy RGS(IBG) 2012. Acme: an international e-journal for critical geographies, 14(2), 413-421. Full text. Cook et al I (2014). 'Afters': 26 authors, a blog and a 'workshop imagination geared to writing'. Cultural geographies, 21(1), 135-140. Cook et al I (2014). 'Organic Public Geographies and REF Impact'. Acme: an international e-journal for critical geographies, 13(1), 47-51. Cook et al I (2014). Fabrication critique et web 2.0: les géographies matérielles de followthethings.com. Géographie et cultures, 91-92, 23-48. Fabrication critique et web 2.0: les géographies matérielles de followthethings.com. Cook IJ, Hobson K, Hallett L, Guthman J, Murphy A, Hulme A, Sheller M, Crewe L, Nally D, Roe E, et al (2011). Geographies of food: afters. Progress in human geography, 35(1), 104-120.
coded, edited, arranged, discussed and rearranged to produce a fragmentary, multi-authored text aiming to convey the rich and multi-stranded content, breadth and character of ongoing food studies research within and beyond geography. Cook IJ, Hawkins H, Sacks S, Rawling E, Griffiths HG, Swift D, Evans J, Rothnie G, Wilson J, Williams A, et al (2011). Organic public geographies: 'making the connection'. Antipode, 43(4), 909-926. Cook IJ, Hawkins H, Sacks S, Rawling E, Griffiths H, Swift D, Evans J, Rothnie G, Wilson J, Williams A, et al (2011). Organic public geographies: 'making the connection'. Antipode, 43(3), 909-926. “Making the connection”. It is written by a diverse collection of (non-)academic participants who contributed to the project before it had started, as it was undertaken, and/or after it had finished. This is a “messy”, process-oriented text (Cook et al. 2007) working through the threads (partially) connecting the activities of its main collaborators, including a referee who helped get the paper to publication. Cook et al I (2008). Geographies of food: mixing. Progress in Human Geography, 32(6), 821-833. Anderson J, Askins K, Cook IJ, Desforges L, Evans J, Fannin M, Fuller D, Griffiths H, Lambert D, Lee R, et al (2008). What is geography's contribution to making citizens. Geography, 93(1), 34-39. A Citizenship Working Group (CWG) was established in September 2006 to support members of the Geographical Association in the development of the citizenship dimension of geography education. One of the group’s first initiatives was to invite a number of academic geographers (in one case, with their students) to write short ‘viewpoint’ essays responding to the question: what is geography’s contribution to making citizens? These have been made available unedited on the CWG website. and this paper is an attempt to condense out their main arguments through a question and answer format which addresses what we mean by ‘citizenship’, how it is ‘geographical’, how it is changing, what’s new about ‘citizenship education’ in the UK, what this means for school pupils and their teachers, and what we therefore believe geography’s contribution to making citizens might be. Cook IJ, Evans J, Griffiths H, Morris R, Wrathmell S (2007). 'It's more than just what it is': defetishising commodities, expanding fields, mobilising change…. Geoforum, 38(6), 1113-1126. Commodity geographies are politically weak. Geographical pedagogy isn’t particularly engaging. Radical geography should make connections. But it rarely leaves room for interpretation. Too much seems to be too didactic. and to preach to the converted. That’s a problem that needs attention. So, is it possible to develop a radical, less didactic, geography? with research funding, publication and teaching the way they are? to engage more students, more heartily, in the issues studied? to promote social justice, critical citizenship, and participatory democracy? But not by setting out the right ways to think, be, or act. Some film-makers, artists and writers have been able to do this. It seems. Subtly and cleverly. Through projects attempting to de-fetishise commodities. But their politics have been placed largely in the background, between the lines of, or separated out from, the presentation of scenes, things, relations, bodies, lives and voices. Seen and unseen elements of their audiences’ lives. Re-connected. Perhaps. Through communication strategies giving audiences something to think about and to think with, to argue about and to argue with. Putting themselves in the picture, in the process. These less didactic materials may be difficult to master for an exam or an essay. They may not make it clear who or what’s right or wrong or what audiences are supposed to do. But they could engage them in less direct ways. When they’re shopping for petrol or fish, or when they’re doing or thinking about completely different things. Things that may not even come under the heading of ‘production’ or ‘consumption’. This approach might be labelled as ‘weak’, ‘relativist’, a bit too ‘cultural’ ‘post-modern’, or ‘defunct’. But it’s an approach that may be radical in effect because its ‘politics’ aren’t so straightforward or ‘up front’. This paper is about changing relationships between research, writing, teaching, learning and assessment; expanding fields of commodity geographies to include classrooms as sites not only of ‘instruction’, but also of learning, for researchers and their students1; showing how such learning might usefully shape research and writing elsewhere in these fields for those engaged in this defetishising project. Evans J, Cook IJ, Griffiths H (2007). Creativity, group pedagogy & social action: a departure from Gough. Educational philosophy and theory, 40(2), 330-345. Cook IJ, Harrison M (2007). Follow the thing: ‘West Indian hot pepper sauce’. Space and culture, 10(1), 40-63. Follow the thing: ‘West Indian hot pepper sauce’. debates about (a) conducting “follow the thing” ethnographies in which commodities and their biographies are the organizing principles of postdisciplinary research; (b) producing detailed case studies that illustrate how capitalist relations not only could be,but are,diverse,different,surprising; (c) presenting evocative, engaging, affecting, but jarring accounts of connected lives with which readers can hopefully identify and get wrapped up in as they read; and (d) theorizing together, between the lines, Marxist, poststructuralist,and postcolonial approaches to food and its globalized, uneven geographies. Cook IJ, Evans J, Griffiths H, Mayblin L, Payne R, Roberts D (2007). ‘Made in… ?’ appreciating the everyday geographies of connected lives?. Teaching geography(Summer), 80-83. Cook et al I (2006). Geographies of food: following. Progress in human geography, 30(5), 655-666. Cook IJ, Williams A, Motamedi M (2006). Stuff geography. Primary Geographer(Autumn), 38-39. Cook et al I (2004). Follow the thing: papaya. Antipode, 36(4), 642-664. In a recent round table about Antipode’s radical geographies, contributors argued that the journal needed more papers which stimulated debate, were accessible to academics and non-academics alike, didn’t ‘‘preach to the cognoscenti’’, were written to fit into radical teaching agendas, and were diverse and eclectic in style (Waterstone 2002:663; Hague 2002). This paper has been written to fit this bill. It outlines the findings of multi-locale ethnographic research into the globalization of food, focusing on a supply chain stretching from UK supermarket shelves to a Jamaican farm, and concluding in a North London flat. It addresses perspectives and critiques from the growing literature on the geographies of commodities, but presents these academic arguments ‘‘between the lines’’ of a series of overlapping vignettes about people who were (un)knowingly connected to each other through the international trade in fresh papaya, and an entangled range of economic, political, social, cultural, agricultural and other processes also shaping these connections in the early 1990s. The research on which it is based was initially energized by David Harvey’s (1990:422) call for radical geographers to ‘‘get behind the veil, the fetishism of the market’’, to make powerful, important, disturbing connections between Western consumers and the distant strangers whose contributions to their lives were invisible, unnoticed, and largely unappreciated. Harvey argued that radical geographers should attempt to de-fetishise commodities, re-connect consumers and producers, tell fuller stories of social reproduction, and thereby provoke moral and ethical questions for participants in this exploitation who might think they’re decent people. This paper has been written to provoke such questions, to provide material s to think through and with, for geography’s ongoing debates about the politics of consumption. Cook IJ, Harrison M (2003). ‘Cross over food: re-materialising postcolonial geographies’. Transactions of the Institute of British Geographers, 28(3), 296-331. ‘Cross over food: re-materialising postcolonial geographies’. and global capitalism. This paper addresses these issues by reporting on research based in a recent debate in the UK trade press over the ‘failure’ of Caribbean food to ‘cross over’ into the UK ‘mainstream’. It outlines the contrasting manufacturing and marketing practices of two Jamaican food companies whose accounts of (not) attempting this ‘cross-over’ illustrate postcolonialism’s hybrid, resistant, ambivalent, scale-jumping, boundary-crossing, material cultural politics. Cook et al I (2001). Social sculpture and connective aesthetics: Shelley Sacks’s ‘Exchange values’. Ecumene, 7(3), 337-343. Cook IJ, Angus T, Evans J (2001). ‘A manifesto for cyborg pedagogy’. International research in geographical & environmental education, 10(2), 195-201. Full text. Cook IJ (2000). 'Nothing can ever be a case of us and them again': exploring the politics of difference through border pedagogy & student journal writing. Journal of geography in higher education, 24(1), 13-27. Linda McDowell (1994) has called for styles of teaching which put into practice arguments about the 'politics of difference' which has become an increasingly central part of human geographical research. This paper draws on a number of years’ experience of teaching an undergraduate course on multicultural historical geography, in which this was attempted. Here students were encouraged to get more involved in these debates, to take them more personally, and to develop 'situated knowledges' about the UK as a multicultural society. The approach to teaching, learning and assessment which made this possible was based on the principles of. ‘border pedagogy’ and on students writing journals throughout the course which charted the development of their understandings of the materials they encountered. Cook IJ, Crang P, Thorpe M (1998). Biographies & geographies: consumer understandings of the origins of foods. British food journal, 100(3), 162-167. Biographies & geographies: consumer understandings of the origins of foods. This article argues for a biographical and geographical understanding of foods and food choice. It suggests that such an approach highlights one of the most compelling characteristics of food - that being the way in which it connects the wide worlds of an increasingly internationalised food system into the intimate space of the home and the body. More specifically, and based on ongoing empirical research with 12 households in inner north London, the article explores one aspect of food biographies, through an interlinked consideration of what consumers know of the origins of foods and consumers’ reactions to systems of food provision. It concludes that a structural ambivalence can be identified, such that consumers have both a need to know and an impulse to forget the origins of the foods they eat. Cook IJ, Crang P (1996). 'The world on a plate': culinary culture, displacement and geographical knowledges. Journal of material culture, 1(2), 131-153. This article uses claims about the local globalization of culinary culture to stage an argument about the character of material cultural geographies and their spaces of identity practice. It approaches these geographies in two ways. First, it views foods not only as placed cultural artefacts, but also as dis-placed materials and practices, inhabiting many times and spaces which, far from being neatly bounded, bleed into and mutually constitute each other. Second, it considers the geographical knowledges, or understandings, of foods’ geographies, mobilized within circuits of culinary culture, outlining their production through processes of commodity fetishism, and arguing for forms of critical intervention that work with the fetish rather than attempt to reach behind it. Cook IJ, Bagelman J (2019). Enacting public geographies. In Kobayashi A (Ed) International Encyclopedia of Human Geography, Elsevier. Cook et al I (2017). followthethings.com: analysing relations between the making, reception and impact of commodity activism in a transmedia world. In Söderström O, Kloetzer L (Eds.) Innovations sociales: comment les sciences sociales transforment la société, Neuchátel, Switzerland: University of Neuchátel, 46-60. Author URL. Full text. Cook IJ, Crang P (2016). Consumption and its geographies. In Daniels P, Bradshaw M, Shaw D, Sidaway J, Hall T (Eds.) An introduction to human geography, Harlow: Pearson, 379-398. Cook IJ, Crang P (2014). The World on a Plate: Culinary Culture, Displacement and Geographical Knowledges. In Pilcher J (Ed) Food History: Critical and Primary Sources, London: Bloomsbury. Cook IJ, Jackson P, Hayes-Conroy A, Abrahamsson S, Sandover R, Sheller M, Henderson H, Hallett IV L, Imai S, Maye D, et al (2013). Food’s cultural geographies: texture, creativity & publics. In Johnson N, Schein R, Winders J (Eds.) The Wiley-Blackwell Companion to Cultural Geography, Oxford: Wiley-Blackwell, 343-354. Author URL. Cook IJ, Crang, P. (2012). Consumption & its geographies. In Daniels P, Bradshaw M, Shaw D, Sidaway J (Eds.) An introduction to human geography, Harlow: Pearson, 396-415. 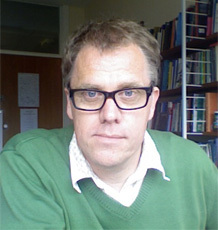 Cook IJ, Woodyer T (2012). Lives of things. In Sheppard E, Barnes T, Peck J (Eds.) Wiley-Blackwell companion to economic geography, Oxford: Wiley-Blackwell, 226-241. Author URL. Cook IJ, Crang P (2012). The world on a plate: culinary culture, displacement and geographical knowledges. In Steger M (Ed) Globalization & culture: volume 1, Cheltenham: Edward Elgar, 230-252. Allsop D, Allen H, Clare H, Cook IJ, Raxter H, Upton C, Williams A (2010). Ethnography & participant observation. In Gomez B, III JPJ (Eds.) Research methods in geography: a critical introduction, Oxford: Wiley-Blackwell. Cook IJ, Tolia-Kelly DP (2010). Material geographies. In Hicks D, Beaudry M (Eds.) Oxford handbook of material culture studies, Oxford: Oxford University Press. Cook et al I (2008). Geographies of food: following. In Tucker L (Ed) Bioneering: hybrid investigations of food, Irvine, California: University of California, Irvine, 126-139. Cook et al I (2008). Pozicioniranost / situirano znanje. In Atkinson D, Jackson P, Sibley D, Washbourne N (Eds.) Kulturna geografija: kriticki rjecnik klucnih pojmova, Zagreb: Disput, 41-53. Cook IJ, Harrison M, Lacey C (2006). The power of shopping. In Wilson R (Ed) Post party politics, London: Involve, 42-46. Cook IJ (2005). Participant Observation. In Flowerdew R, Martin D (Eds.) Methods in human geography: a guide for new students, Harlow: Prentice Hall, 167-188. Cook et al I (2005). Positionality / situated knowledge. In Atkinson D, Jackson P, Sibley D, Washbourne N (Eds.) Cultural geography: a critical dictionary of key ideas, London: IB Tauris, 16-26. Cook IJ (2004). Trade. In Harrison S, Pile S, Thrift N (Eds.) Patterned ground: ecologies of culture and nature, London: Reaktion, 124-126. Cook IJ, Crang P, Thorpe M (2004). Tropics of consumption: getting with the fetish of ‘exotic’ fruit?. In Reimer S, Hughes A (Eds.) Geographies of commodity chains, London: Routledge, 173-192. Cook IJ, Crang P (2004). ‘The world on a plate: culinary culture, displacement & geographical knowledges’. In Thrift N, Whatmore S (Eds.) Cultural geography: critical concepts in the social sciences (volume 1), Routledge. Cook IJ, Crang P (2003). ‘The world on a plate: culinary culture, displacement & geographical knowledges’. In Clarke D, Doel M, Housiaux K (Eds.) The consumption reader, London: Routledge, 113-116. Cook IJ (2001). ‘You want to be careful you don’t end up like Ian. He’s all over the place’: autobiography in/of an expanded field. In Moss P (Ed) Placing autobiography in geography, Syracuse, NY: Syracuse University Press, 99-120. Cook IJ, Crang P, Thorpe M (2000). 'Have you got the customer's permission?' Category management and circuits of knowledge in the UK food business. In Bryson J, Daniels P, Henry N, Pollard J (Eds.) Knowledge, space, economy, London: Routledge, 242-260. Cook IJ (2000). Culture and political economy: introduction. In Cook IJ, Crouch D, Naylor S, Ryan J (Eds.) Cultural turns / geographical turns: perspectives on cultural geography, London: Pearson. Cook IJ, Crang P, Thorpe M (2000). Regions to be cheerful? Culinary authenticity & its geographies. In Cook I, Crouch D, Naylor S, Ryan J (Eds.) Cultural turns / geographical turns: perspectives on cultural geography, Harlow: Longman, 109-139. Cook IJ, Crang P, Thorpe M (1999). Eating into Britishness: multicultural imaginaries and the identity politics of food. In Roseneil S, Seymour J (Eds.) Practising identities: power & resistance, Oxford: Macmillan, 223-248. Cook IJ (1999). New fruits and vanity: symbolic production in the global food economy. In Bryson J, Henry N, Keeble D, Martin R (Eds.) The economic geography reader: producing & consuming global capitalism, Chichester: Wiley, 301-306. Cook IJ (1997). Participant observation. In Flowerdew R, Martin D (Eds.) Methods in human geography: a guide for students doing research projects, Harlow: Longman, 127-149. Cook IJ (1995). Constructing the exotic: the case of tropical fruit. In Allen J, Massey D (Eds.) Geographical worlds, Oxford: Oxford University Press, 137-149. Cook IJ (1994). New fruits and vanity: symbolic production in the global food economy. In Bonanno A, Busch L, Friedland WH, Gouveia L, Mingione E (Eds.) From Columbus to ConAgra: the globalisation of agriculture and food, Lawrence, KA: University Press of Kansas, 232-248. Cook et al I (2017). What to do if you find a cry for help in your Christmas presents this year. The Conversation 22 December. Web link. (2013). Ethical Trade Trumps card game (make-it-yourself card game with instructions, card template and sample cards, scanned & uploaded to flickr.com). Author URL. Web link. (2012). Made in Lego (re-creations of scenes from followthethings.com pages in Lego, photographed & published on flickr.com). Author URL. Web link. (2011). @followthethings (the followthethings.com twitter feed). Author URL. Web link. Cook IJ (2011). What would you say to the person who made your shirt? Eden Project Blog. Author URL. Web link. (2011). followtheblog.org (the followthethings.com blog). Author URL. Web link. Cook IJ, Parkinson A (2011). followthethings champion shopper missions (a series of online missions on the website missionexplore.net). Author URL. Web link. (2011). followthethings.com. Full text. Web link. Cook et al I (2009). Writing collaboration: a work in progress. This website / paper was initially put together for Ian Cook et al’s presentation at the Doing collaboration differently: challenging an unequal academy workshop at Leeds University on January 12th, 2009, organised by Shona Hunter. It was designed both to serve as an alternative to a powerpoint display on the day - this was not a great success! - and to provide a space for discussion after the event. It is presented, and will evolve as, a collaboratively written paper on collaborative writing. That’s the idea. All of those involved in the collaborations described have, as much as is possible, been contacted and asked to comment on the paper as a whole and on the parts in which they are mentioned. Each page has a comments box at its foot for suggestions and feedback through which a number have had their say about the collaborations described. Anyone who comes across this paper is welcome to add their comments and, thereby, to become a co-author. There are no plans to turn this into a published paper. It will remain, grow and change as an ongoing online experiment in collaborative writing. Griffiths H, Cook IJ, Evans J (2008). Making the connection. mobile phone geographies. Author URL. Griffiths H, Cook IJ (2008). Think-piece on children and Young People’s Geographies. Author URL. Cook et al I (2002). Commodities: the DNA of capitalism. This paper was written to accompany Shelley Sacks’ Exchange Values installation at the South African National Gallery, Johannesburg, timed to coincide with the Earth Summit. Cook IJ, Kemppainen E (2017). Tarvitsemme Lisää Tutkimusta. Voima, 7, 24-25. Author URL. (2016). Museum of Contemporary Commodities, shop-gallery, 87 Fore Street, Exeter (4 - 21 May). The Museum of Contemporary Commodities (MoCC) is a participatory digital arts & social science project that uses processes of digital interaction and conversation to explore connections between data, trade, places, and values in relation to contemporary commodity culture. MoCC was sited for three weeks in central Exeter, open Weds-Sat 4th-21st May 2016, and consisted of a city centre shop-gallery space hosting a number of digital art-conversation works: the still active online database or MoCC collection to which members of the public can upload their own commodities and interpret them like a museum curator would, a set of designed/hacked objects for display and interaction including a digital quiz and internet connected talking doll, and a collection of documentation that will be used to present the project in other arts and academic settings. The project collaborated with artists, technologists, academics and members of the public to produce the museum, leaving a legacy of materials that can be toured in future to city centre retail sites, gallery spaces and outdoor events. Crutchlow P, Cook IJ, et al (2016). Museum of Contemporary Commodities, shop-gallery, 87 Fore Street, Exeter (4 - 21 May). Gabie N, Gabie J, Cook IJ (2015). Dust, in 'Bideford Black, the Next Generation' exhibition, Burton Art Gallery & Museum, Bideford, UK (3 October - 13 November). Dust, in 'Bideford Black, the Next Generation' exhibition, Burton Art Gallery & Museum, Bideford, UK (3 October - 13 November). Joan and Neville Gabie have been working on a collaborative commission with Geographer Ian Cook on a series of film based drawings, working with the pigment Bideford Black, a naturally occurring carboniforous pigment, once mined in the area. The body of work entitled ‘Dust’ includes a five screen video installation, a ‘cabinet of Curiosities’ containing some of the experimental work with plastic and rubber, and a suit worn by the artist. (2015). Museum of Contemporary Commodities 'Free Market', Furtherfield Gallery, Finsbury Park, London (17-19 July). Crutchlow P, Cook IJ, Foote G, Garbelotto C, Ballard A, et al (2015). Museum of Contemporary Commodities 'Free Market', Furtherfield Gallery, Finsbury Park, London (17-19 July). Cook IJ, Crutchlow P, Foote G, Garbelotto C, Ballard A, et al (2015). Museum of Contemporary Commodities, in 'The Human Face of Cryptoeconomics' exhibition, Furtherfield Gallery, Finsbury Park, London (17 October - 22 November). Cook et al I (2011). Hartmut Bitomsky's 'Dust': a reaction more than a review. Science as culture, 20(1), 115-119. Cook IJ, Elesedy A, LeGrand G, Woolford R (2011). Moving stuff: de-carbonising maritime logistics, international wind transport & material geographies: 'Ahead of the curve' radio show, Phonic FM. Author URL. Cook IJ, Shakes, Lizzie, Audaye, Abdulla, Emma (2011). Occupied:'Ahead of the curve' radio show, Phonic FM. Author URL. Cook IJ (2001). Review of L. Grossman (1998) 'The political ecology of bananas'. Professional Geographer, 53(1), 137-138. Cook IJ (1999). Review of D. Goodman & M. Watts (eds) (1997) Globalising food. Transactions of the Institute of British Geographers, 24(4), 515-516. Cook IJ (1999). Review of J. Walvin (1997) 'Fruits of Empire: exotic produce and British taste, 1660-1800'. Journal of Historical Geography, 25(2), 250-251. Cook IJ (1998). Review of J. Allen & C. Hamnett (eds) (1995) 'A shrinking world'. Area, 30(1), 95-96. Cook IJ (1998). Review of P. Camporesi (1994) 'The anatomy of the senses'. Journal of Historical Geography, 24(1), 104-105. Ian Cook et al (2019) Political LEGO: think pieces. Invited presentation and LEGOLab at the 'Social Movements, everyday life and the political of sustainable consumption' workshop, Sustainable Consumption Institute, University of Manchester. Ian Cook et al (2018) Follow the things: who makes the things we buy, where, how and under what conditions? Invited presentation at the emlyon Lifestyle Research Centre's 'Sustainability Research Day', Lyon. Ian Cook et al (2018) Lives in+of food. Invited presentation at the Food 2.0 Lab's 'Rethinking Food + Food Safety' conference, Paris. Ian Cook et al (2018) Minifiurative politics. Invited talk and LEGOLab at the 'Lives in Brick: Bodies, Justice, Power' workshop, London. Ian Cook et al (2018) Minifigurative politics. Inaugural lecture, University of Exeter. Ian Cook et al (2017) Invited panel contriution to ESRC Consumption Ethics: Interdisciplinary Meanings and Intersections seminar, Birkbeck, Univeristy of London, UK. Ian Cook et al (2016) Toxic materialities. Invited organisation of screening and panel discussion of Sasha Friedlander's (2012) documentary Where Heaven Meets Hell for Passengerfilms, London. Ian Cook et al (2015) Making conversations about ethical consumption with followthethings.com. Invited presentation at the ESRC Consumption Ethics in Society seminar, University of Leicester, UK. Ian Cook et al (2015) Food talk: geographies of food and the ‘follow the thing approach. Invited keynote at the White Rose DTC Inaugural Food Studies Seminar Event, University of Sheffield, UK. Ian Cook, Will Kelleher, Charlotte Brunton & Jennifer Hart (2014) followthethings.com: research & teaching through global connection. Invited presentation at the Brown International Advanced Research Institutes, Brown University, Providence RI, USA. Ian Cook et al (2013) followthethings.com as open access publishing. Invited panel contribution on ‘Open Access Publishing: a stock-take and critical debate’, RGS(IBG) annual conference, London, UK. Ian Cook et al (2010) Shopping online: new sites and technologies for 'follow the thing' research. Invited keynote presentation to the ERC EUROQUAL workshop on Spatial and network analysis in qualitative research, European University Cyprus, Nicosia, Cyprus. Advisory Board member: Blood Bricks, ESRC-DFID funded project (PI Prof Katherine Brickell, Royal Holloway, University of London). Advisory Board member: Designing a Sensibility for Sustainable Clothing, AHRC-funded project (PI Prof Clare Saunders, University of Exeter). ‘Follow The Things’: developing critical pedagogies to promote geographically-informed and ethically-aware consumption in school geography curriculum (REF 2014 impact case study: download). Ian was shortlisted for the University of Exeter Student Guild's 'Innovative Teaching' award in 2010, 2011 and 2012. In 2012, he won the award. In 2017, the Royal Geographical Society (with the Institute of British Geographers) awarded Ian the Taylor and Francis Award for Excellence in the Promotion and Practice of Teaching and Learning of Geography in Higher Education. Matt Wilkins (2009-) Collaborative publics: shopping, performance and the blind individual (Exeter funded PhD, co-supervised with Paul Cloke) . Helen Griffiths (2005-2010) Engaging students as citizens and consumers innew school geographies (ESRC-funded PhD, co-supervisedwith James Evans).